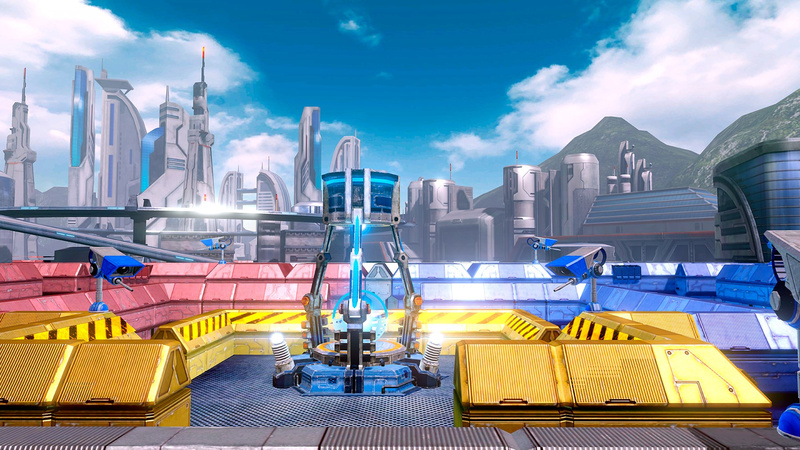 Project Guard debuted at E3 2014 as part of an initiative from Nintendo to craft new experiences that could only be pulled off with the GamePad. What was then a small, weird, experimental game is now a small, weird, experimental game set in the Star Fox universe. Oh, and a pretty great — if distressing — proof of concept for GamePad excellence. So, mission accomplished then, Nintendo. 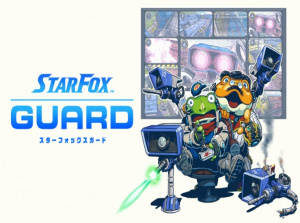 Star Fox Guard puts players in the role of a security operator for Corneria Precious Metals, Ltd., proprietors of various mining sites across the Star Fox galaxy. 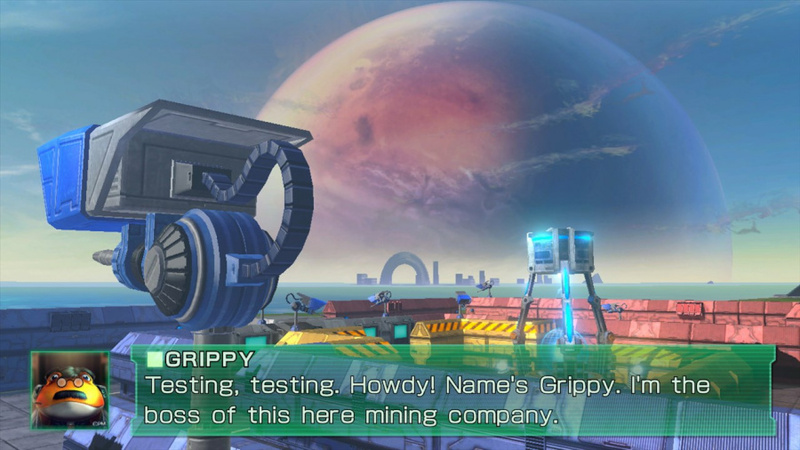 The company is owned by Grippy Toad, the weird uncle of Slippy Toad, who has a pesky problem of dealing with robots that simply cannot stop attacking the labyrinthian mining facilities. It's your job to make sure they don't get through to the core and blow the whole place up. This translates into gameplay that sources equal parts tower defense, twitch shooter, and puzzle as you juggle incoming waves of foes and try to figure out how to dispatch of them. Around the facilities are 12 AegisCams with weapons attached. The TV screen shows the feed of each numbered camera surrounding a large central display showing the camera currently under your control. On the GamePad is a map of the facility and corresponding numbered camera placements. 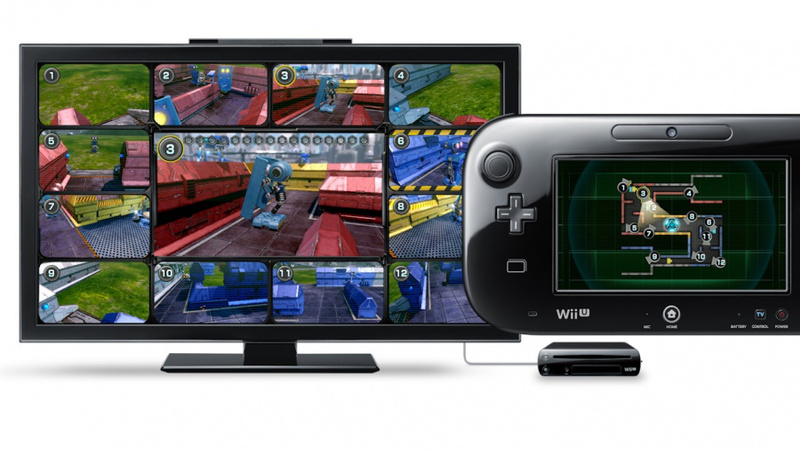 Tap the camera on the GamePad to commandeer it in the central display on the TV, allowing you to fight back against the hordes. The game's dozens of robot enemies are divided into two types. Chaos robots live up to their name and are here primarily to make life difficult. These suckers will mainly attack the cameras in all sorts of ways both novel and straightforward. One looks like a tank and just blasts cameras on its warpath to take them out. Another attaches to the camera and shows a fake loop to trick you into thinking nothing is happening there, just like what happens in every single heist movie. Combat robots, on the other hand, go right for the core — if one reaches it, the stage is lost. Before each mission you can position the cameras by dragging them around the map (also possible to do on-the-fly during a stage) and equip them with whatever weapons you may have unlocked to boost your chances of a successful defense. The prep screen shows a vague idea of how many robots will be coming through each entry point, but won't clue you in to what they are or when they'll arrive. Scanning a Fox or Falco amiibo on the prep screen will offer optional air support for that stage. If you find yourself in the weeds during a stage, tapping the Arwing icon will call in the squad for an air strike and total enemy annihilation. You can use a compatible amiibo once per day (so, if you have both Fox and Falco, that makes for two air strikes). Precious metals left behind from defeated foes are claimed at the end of each stage, which contribute to your character level. Additional camera types and abilities are unlocked as you level, which prove handy for taking on the increasingly challenging enemy waves. Win or lose, Guard presents you with detailed info on the attack waves you just faced after each mission. This info is presented in a similar fashion to a music sequencer, with each entry point shown as a track and robots are the notes. Defeated robots will appear greyed out in the sequence, cluing you in to what you may have missed. It's all very clever, and super valuable if you're defeated since you can see exactly where you went wrong and what path that robot took to the core. Keeping track of all 12 cameras at once is no mean feat for one person. Constantly monitoring a dozen tiny feeds for enemy activity is tricky enough, but the real wrench comes from having to divert your attention away from the TV screen and back to the GamePad quickly and often. There's a very real threat that the robot you're tracking will be out of sight of the camera you expected, which then kicks off a scramble to track it as the blasted thing gets ever closer to blowing up the facility. Throw in multiple attack points, varying threat levels, and the Chaos robots doing their thing and you'll find yourself overwhelmed in a jiffy. This inherent claustrophobic tension in Guard's gameplay is both surprising and welcome. Comparisons to indie sensation Five Night's at Freddie's are easy as both titles have you manning a CCTV system and fighting for survival. But that's about the extent of the similarities. FNaF plays on your fear of the unknown, with the source of its tension coming from creepy sound effects and jump scares from sudden appearances when flipping between channels. Guard is cheerily up-front about incoming peril and exploits information overload to fill you with dread. All of your danger is right in front of you, 12 feeds of it, slowly — or suddenly with the quicker foes — marching right at your greatest vulnerability in broad daylight, and the only thing you can do is hope that you're quick enough to figure out how to stop it. The main mode has 100 stages to defend, with most only lasting a few minutes to complete. Half — including boss fights and end-of-planet assaults — are part of the campaign, and the other half are unlockable "extra" missions. Unlocking all of the extra missions will take a good while, too. This may be a somewhat small game, but a little goes a long way. Guard can be a very overwhelming experience if played alone in longer sessions, which conversely makes it great for a quick round between the other things you do in life. It also happens to be a pretty fun party game with two or more people watching the monitors and screaming at each other over where robots are coming from and what to attack first. Guard will surely spawn a load of YouTube reaction videos of people stressing out over speedy blue robots. While 100 missions is pretty meaty, we imagine many players will find the online My Squad mode to be Star Fox Guard's main course. Here, you can create custom attack waves and upload them for all to play, or defend against whatever the Internet (or friends) throws your way. Designing an attack wave is dead simple thanks to the sequencer-like creation tool that lets you set what robots will appear from where, when, in what order, as well as influence the path they take to the core. Your online bona fides are shown on a player scorecard similar to other Nintendo online games like Mario Kart 8, where you get points for winning and lose points in defeat. Between Guard and Super Mario Maker, it seems that Nintendo has cracked how to make simple and powerful creation tools that anyone can use. Looking at screenshots, what you see of Guard's visual style doesn't look all that impressive. Its blocky style and chunky, cartoonish design lends a lovingly HD-remastered Nintendo 64 title vibe to everything. This game won't win many awards for aesthetic excellence, but the art style has two practical purposes. For one, it connects Guard to its sibling game, Star Fox Zero, which shares a similar look and feel. Second, it services gameplay by streamlining all of the information required to decipher what's going on. 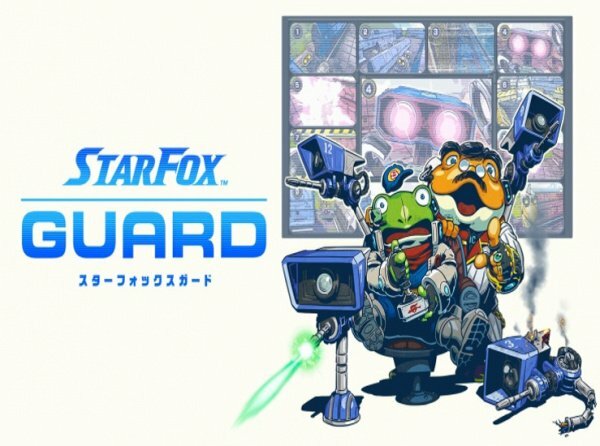 Three quarters of Star Fox Guard is spent looking for activity on tiny monitors — anything other than chunky, colorful, distinct designs would be not only lost on players but would make things difficult to see. The game is overwhelming enough as is, so we for one welcome this simple look. Plus, there's a lot of charm and personality fused into the character designs — this style is a net-plus in our book. The sound design also does a great job of boosting the game's sense of personality and offering a window into what's happening on screen. Alarms go off, robots wind up, lasers go zap — all valuable information to have presented in such a clear and distinct way to help make sense of the chaos. The various Star Fox characters are fully voice acted and sound great (in that cheesy Star Fox way), with Grippy's gruff personality stealing the show. The dynamic between the young Slippy and the gruff Grippy is handled really well and proves lots of fun. We hope to see Grippy involved in future Star Fox adventures. Nintendo set out to build an experience centered around the GamePad with Star Fox Guard, and the result is a great little experiment — if a wee bit overwhelming. How much you get out of Star Fox Guard will ultimately depend on your tolerance for its particular brand of gameplay. Some may take to the tense onslaught like an Italian plumber to a mushroom, whereas others might play a few rounds and get completely exhausted. There isn't a whole lot of diversity in gameplay here, and in many ways what you see is what you get. What we see is a terrifying game wrapped in a charming coating with lots to do if you're so inclined. The main game is satisfying on its own, and throw in the excellent My Squad online mode and you've got yourself a party. Player beware; you're in for a scare. This is one of the reasons why I pre-ordered Zero, I love the bonus. There is no doubt in my mind they did this to entice people on the fence about Zero, because there really is no reason for a game like this to require the Star fox brand, although it looks as though they did it rather seamlessly. I will no doubt be terrible at this game, but I love puzzle games of all sorts, so will no doubt enjoy it! I pre-downloaded Star Fox Zero but am not too interested in this game. Still, since it'll only be $9.99 after the $5 discount I'll probably get it anyway, especially considering I'm trying to earn enough gold points to get Donkey Kong Country Returns. I've never played that game. Nice looks like a fun little game too jump into for afew hrs at a time. I'm more interested in this then Zero! Me and my son can have a great time. Nice thorough review, we'll probably pick this up to play in a group, Zero is likely to be a Game fly rental some time down the road. 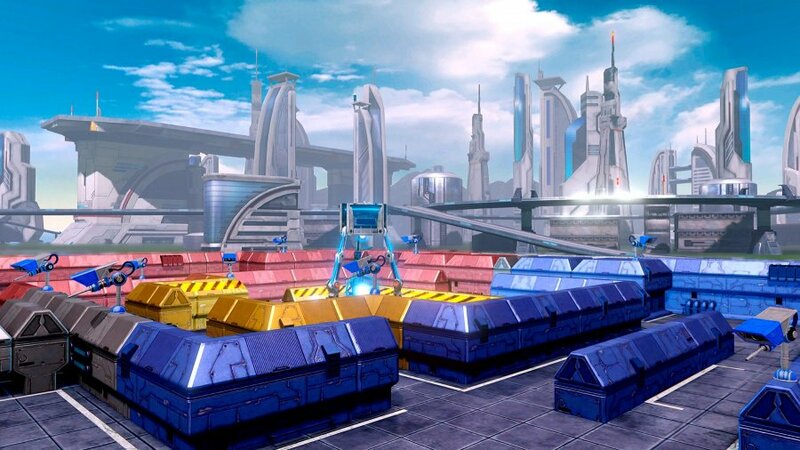 Because Star Fox Zero is not meaty enough, Star Fox Guard should be an additional mode and not a separate game, in my opinion. and that is why the gamepad failed. Third Party developers seemed to have grasped this years ago. I'm way more interested in this than Star Fox Zero. Yes! I'll likely play this first but this is a pretty sweet deal all around. Plus I get 20% off with amazon... Good time to be a gamer. I just preordered Star Fox Zero from Amazon after this and IGN's reviews. Sounds like winners to me! This is such a nice bonus to get with Star Fox. Looks like something I wouldn't play right away, but when I eventually did sit down and play it, I'd become addicted. If that makes any sense. I'm happy. Star Fox Zero is looking like it's going to be an amazing purchase, like I've said since the beginning. More interested in this than SF Zero. Third parties realized no such thing. What they realize was their games weren't selling enough on the platform. They had games that used the gamepad well, which has always been a selling point rather than a con. How it's used depends on the game and genre. One size does not fit all. I pre-ordered the first print edition so am looking forward to getting this. This actually looks kinda cool, but there’s ZERO reason for this being a Star Fox game (mini-game). Although, ZERO. . . . But seriously, it should have just been its own thing on the eShop or whatever. It's just shoehorned in here. Think of a concept that actually makes sense with multiple cameras and go with that. . . .
To me, putting it in the Star Fox universe actually dilutes that brand/franchise even more, and kinda turns it into even more of a throwaway, not to be taken seriously, kiddie/party/mini-game-like thing, which is entirely the wrong direction for this franchise to be going in imo. God, the original Star Fox was so amazing and epic. . . .
Hey Fox, why do you look like that, buddy? Falco, don't tell me you've messed with the yellow paint again! Feelin' blue today, heh, Peppy? I'm getting this physical with SF Zero. Maybe I´ll just flip a coin to decide which one I should play first. 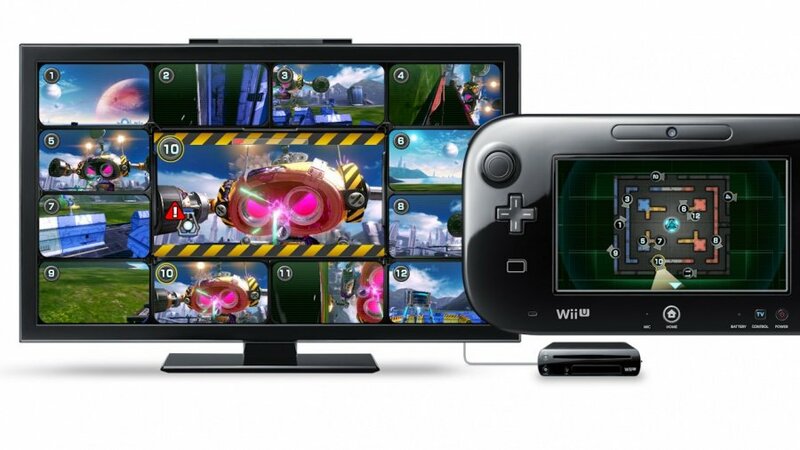 @JaxonH most multi format game sites who reviewed games that were redeveloped for the Wii U, which previously appeared on the PS or Xbox, said that the gamepad did not add anything to the Wii U version and so the score remained the same. Either that was true or the developers did not want to spent time and money customising games to suit the gamepad. @MarioPhD *shrugs * I'm in the middle of packing for moving and I've realized that I really don't need all that clutter. Discounts work just fine for me. @kevin74 You really should play it, if you're ok with hard platformers. Looks like the basically just branded this Star Fox for no inherent reason whatsoever. Not sure how I feel about that, but then again, a freebie is a freebie and it sounds decent enough. @Parkour_LMan I don't mind hard platformers, although I go through them rather slowly. I downloaded DKC: TF when it released and I'm still trying to beat that one. I'm at the fruit island right now but I haven't played it since XCX released. That game has all of my attention at the moment. Sometime last week I downloaded SM3DW, Yoshi's Wooly World, PixlCross, & Chronicles of Teddy. Last month I also downloaded Twilight Princess HD & a few other games. I haven't even started a single one yet. Did someone say StarFox Adventures? If it hadnt been for this game I wouldnt have pre-ordered Star Fox Zero - and chances are I would have dismissed SFZ after reading some reviews (its definitely not the must-have game for me). Right now I feel like I pre-ordered two games not knowing if I am gonna like any of them. They might surprise disappoint me at the same time - funny feeling. Definitely worth the try! Nice review and nice score! It doesn't look like I can get it on disc anymore (to late for the first print edition), but a download it will be! Glad I pre-ordered the first Print edition. Was excited for this, but as you can't buy it in physical retail separately, I'll be giving it a pass. Dude, the games are fantastic! WAY better than I was anticipating! Star Fox Guard is incredible fun. Such a simple concept yet so addicting and fun. Sometimes the best games are the simplest ones. In fact, I love these 2 games so much I think I'ma buy a 2nd First Print copy just to display sealed. Really. Just incredibly fun games. Loving it. Games like Guard and Captain Toad are great new concept that I hope lives on for a long time, especially if the NX is a hybrid. @JaxonH Were you playing all night, the email came at 3 in the morning? Good for you. We will probably get Guard when we get back from vacation on Thursday. Unless my kids think $15 is too much for a tower defense game. We've talked about wanting it and getting it but I've raised my kids to be cheapskates like me. My 1 kid has LoZ:OoT coming in the snail mail today now that it's finally a $19.99 Selects, and the other just bought Shovel Knight on sale for $10 on Wed., so they are good at the moment. And I'm trying to decide what game to start next from the backlog - Ni No Kuni, Kingdoms of Amular:Reckoning, Bioshock (1), Skyrim, or Metroid:Other M. I'm a little behind. That's 4 PS3 games and 1 Wii, no Wii U. NX news should be coming soon. Just wanted to point out that this game's Metacritic score ended up a whole 3 points higher than Zero's. Not too shabby for a pack-in bonus game, I must say! Well. This game is fantastic. But also I think StarFox got a lower average than it deserves. Mainly due to mainstream journalists not being that good at Nintendo games (see DKC Tropical Freeze). The control scheme controversy brought a lot more criticism than was justified imo. But hey, you wouldn't happen to know how to unlock the online mode in Guard, would you? @JaxonH I haven't played it myself, but the whole thing has really made me appreciate how tricky it is to make a "reboot"-type game. You stray too far from the original, it's not what the fans wanted. You stick to close to the original, it's a retread. I think what happened, basically, was that Zero managed to make both camps angry with its new control scheme and similarities to 64. Well, that and it's the first Star Fox game to come out in a decade and one of the few high-profile Wii U releases this year, so it was always under a lot of pressure to be mind-blowingly awesome. Not exactly a great role for such a polarizing game to play. Thing is though, the game really is excellent. People don't realize but, that last 3 Star Fox games were let downs and total disappointments (although I loved Assault). We could have gotten some weird Star Fox game like Adventures or Command. People should count their blessings that this is the best StarFox to release in 20 years, simply because it actually follows the golden formula. The control controversy is unfortunate. We had full blown IR motion controls for every single game last generation, yet people throw a fit over one solitary game that integrates a half gyro/half analog scheme this generation. And it's not some crazy "shake your Nunchuk to roll" setup either. It actually works, and well. @JaxonH Going off of what I've read, I think there's actually a chance of Zero being another case of games like Super Mario Sunshine, where it gets bashed at first but then its reputation soars a few years later once people start enjoying it on its own merits. That wouldn't surprise me. Interested, but already have too much to play already. Perhaps one day. I've heard some controversial topics on the controls in star fox zero . But personally I haven't gotten zero, I actully bought guard digitally and I gotta say that it's really fun.I like the idea of controlling 12 different cameras with guns to defend a base. I already beat the 1st planet world corneria in guard too. And I'm definitely looking forward with what updates they could possibly do with guard.